We hope you’ll be able to join us for the October’s Kino Klub Screening, this month we’re showing the biggest revelation of the 39th Gdynia Film Festival, Palkowski’s BOGOWIE. Good Value Set Menu available afterwards in our restaurant – book a table on 020 7589 0101. Tickets: Available online and on the door. Member Ticket Price: £8 including a glass of wine. Non-member Ticket Price: £10 including a glass of wine. 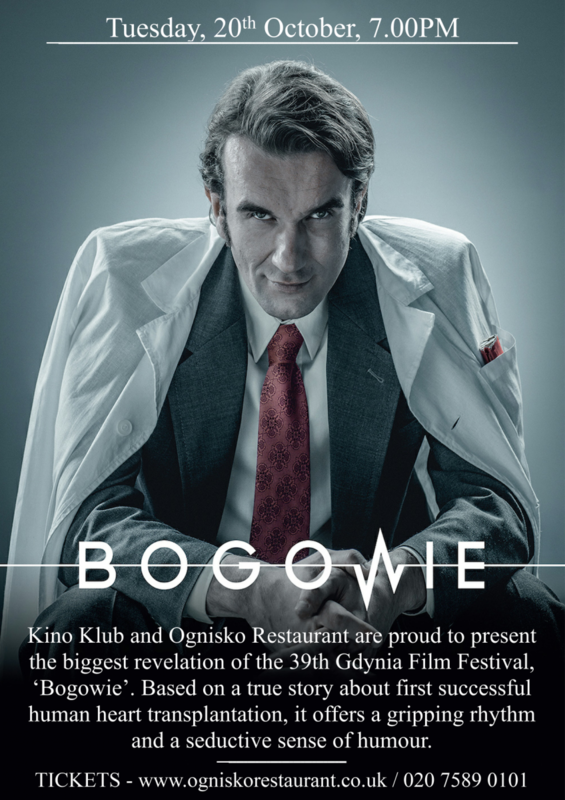 Kino Klub – we’re opening the new season!